Who we are | Chance auf Bildung e.V. 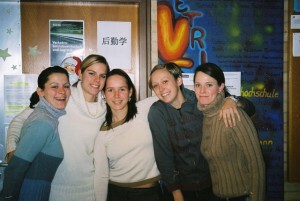 We are a group of friends who met during undergraduate studies at the University of Heilbronn, Germany. 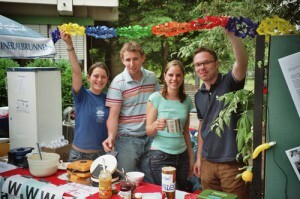 We founded the non-governmental organisation (NGO) ‘Chance auf Bildung‘ in January 2004. Its mission is for all youth to receive an education of quality; it does this by promoting solidarity and tolerance across borders. Our members today are Heilbronn alumni, friends and family and some of us have spent time abroad in Spanish speaking countries. We fundraise primarily from individuals and our donations are often made by supporters who know us personally. Occasionally, we have been lucky to receive one-off support from organisations which have held fundraisers for us. We are committed to continuing our support to Nicaragua. We are always open to new ideas and suggestions how we can raise funds for our school and we are grateful for all donations, large or small. Every cent contributes towards annual scholarships which give children an education. Please contact us with any ideas you have of how we could work together. Please contact us with any ideas you have of how we could work together. Place of Residence: Esslingen a.N.